We stand against animal testing, caging and all types of animal cruelty. We think that it is so wrong and that is why we have made this web page. 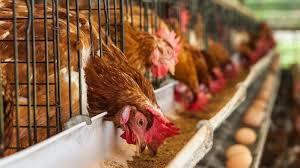 If animals are caged they never get to run around and live freely so they have a much shorter life span. 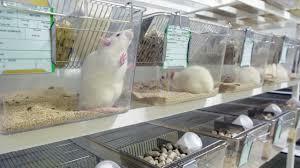 When animals get tested on they come away from it either dead or badly injured by the chemicals in the products. When animals get brought into farms they get so cramped together that they cannot turn around, lie down or stretch limbs. I don't think that animal cruelty is OK and I think caging is one of the worst types. I hate to see people and companies keeping animals lined up in cages like they are monsters. Animals are no different to humans and they have feelings too, how would you fell if you and your friends were locked up in rows only having 20 centimeters to move? I definitely wouldn't like it. So we need to STOP!!! I think that making chicken go into rows and sit there and eat all day is absolutely terrible because those chickens do not even know what it is like to see daylight and breath the fresh outside air. They have to sit with about 45,000 other caged hens and only have the size of an A4 piece of paper to move! That is so wrong. I did a speech on animal testing to stop it last year. I think that it is cruel and unnecessary. I mean who needs another lipstick, why not just use an procedure that has worked before. You don't need to add more chemicals into it. Hi I am Hope Moloney and I am 11 years old I really love animals and I want to keep them. We need to stop animal caging and testing. Hi I'm Davina and I'm 12 years old. 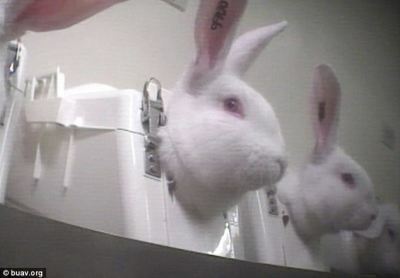 It's wrong that animals get tested on because only humans use the products, why should we let animals suffer? We think animal cruelty is wrong! It takes poor animals lives away before they have even had a chance. Animal Appreciation is about looking after and caring for animals that have been tested on or have been caged up in factories. We as animal lovers need to help and give animals a second chance.